About five years ago I moved to Nebraska from California. I just got a notice in the mail that a judgment obtained against me about 20 years ago has been renewed. It previously got renewed ten years ago. The amount now due is almost $10,000. I incurred this debt almost 20 years ago when I was 19 and have been ignoring it all these years. I just bought a house and don’t want this messing up my credit. How did the creditor find me? I spoke to a Nebraska lawyer who told me I will need a California lawyer to handle this. California law provides that a judgment is enforceable for ten years. Before it expires, the plaintiff can renew it for another ten years. And then before that ten years expires, the plaintiff can renew the judgment again, for another ten years. I assume the notice that was mailed to you came from the plaintiff. 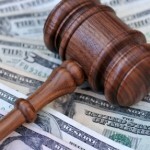 The fact that you recently bought a house might explain how the plaintiff found you. Your options are quite limited. You might try to attack the judgment holder’s standing to enforce the judgment by demanding proof that it is the rightful owner of the judgment. Debt paper is bought and sold all the time. I would not be surprised if this debt has not already been sold many times over. Often the paperwork to prove the rightful ownership of the debt is inadequate or nonexistent. However, the legal fees you would incur to do something like that may be a waste of good money. The court may rule that your time to attack the judgment’s ownership has already expired. Or, if you are allowed to make what we call a “collateral attack” on the judgment, the court might find that the plaintiff’s proof of ownership is beyond dispute. But if you have other troublesome debts, go and see a local bankruptcy lawyer for advice. 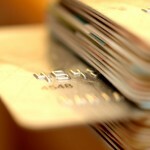 I am making my credit card payments on time, but they are a substantial amount each month. Would it be a good idea to file for Chapter 13 bankruptcy to pay them back? Would that look better on my credit report than if I filed for Chapter 7 bankruptcy? And will the credit card accounts have to be closed once they’ve been paid in full, or will I get to keep them? I predict you’re going to feel great by the time you finish reading the bankruptcy advice I have for you. You make your credit card payments on time, but you don’t see any progress in getting them paid off. You are not the only person in this situation, and that’s because of credit card interest. Consider this: If you have a balance of $5,000 on your credit card and are paying 14% APR, it will take you 22 years to pay it off. That assumes you always make the minimum requested payment, on time. So what’s the best way to avoid this scenario? My first choice for you would be to avoid bankruptcy by paying the debt down yourself. To do this, however, you’ve got to make more than the minimum payment each month. Let’s go back to the example above. Let’s say your minimum monthly payment on the balance was $100. If you paid $240 per month, you would pay the debt off in just two years. You’d still pay $761 in interest, but you’d save yourself 20 years of debt payments, and $5,126 in interest. If you can’t step up your monthly payments, and you have no better alternative, bankruptcy can be a great way to deal with debts. It’s true that bankruptcy will damage your credit. However, almost all of my clients already had miserable credit by the time they began considering bankruptcy. Thus, they had nothing left to lose. 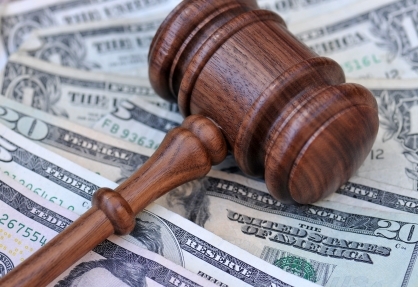 For further guidance on your particular situation, consult with one or two experienced bankruptcy lawyers. You should be able to find lawyers who will give you free consultations. Picture this: You rush your child to the emergency room, only to be greeted at the door by someone who looks like a hospital employee, demanding payment for a previous medical bill before your child gets treatment. Sound crazy? Not if the hospital you rush to has a contract with medical debt collection company Accretive Health. According to the Minnesota attorney general, Accretive Health regularly places employees in hospitals and tries to collect debts from people about to go into surgery, labor and delivery, or the emergency room. It’s likely that many patients believe the debt collectors are hospital employees, and think they won’t get care unless they pay up. In the process, the attorney general alleges, Accretive has access to private medical information about patients, in violation of various federal laws. You can read more about Accretive’s aggressive and possibly illegal debt collection tactics in today’s New York Times article. 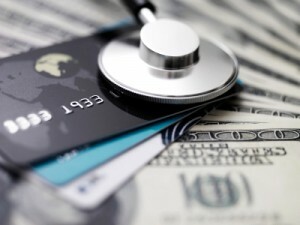 In the meantime, if you are struggling with medical debt, check out Nolo’s article on Managing High Medical Bills.